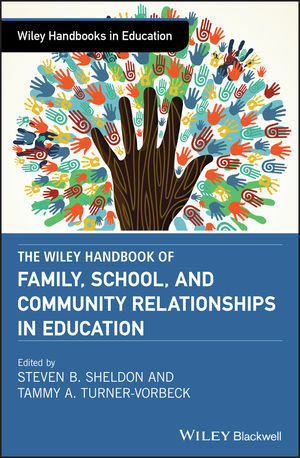 The Wiley Handbook of Family, School, and Community Relationships in Educationbrings together in one comprehensive volume a collection of writings from leading scholars on family and community engagement to provide an authoritative overview of the field. The expert contributors identify the contemporary and future issues related to the intersection of students’ families, schools, and their communities. Written for faculty and graduate students in education, psychology, and sociology, The Wiley Handbook of Family, School, and Community Relationships in Educationis a comprehensive and authoritative guide to family and community engagement with schools. Dr. Steven B. Sheldon is currently an associate professor in the School of Education at Johns Hopkins University, as well as Assistant Director at the Center on School, Family, and Community Partnerships. He is the author of numerous peer reviewed articles about the development and impact of partnership programs in schools, and has co-authored the books, Principals Matter: A Guide to School, Family, and Community Partnerships and School, Family, and Community Partnerships: Your Handbook for Action. Dr. Tammy A. Turner-Vorbeck is the co-founder of the Family Diversity Education Council, a non-profit corporation comprised of advocates, practitioners, and researchers interested in generating and sharing knowledge related to issues of family diversity and family-school-community relationships. She serves as Executive Co-Editor of the Journal of Family Diversity in Education. Her research interests center upon family structure diversity and equity issues in education.At the national level, she speaks at educational conferences on issues of family diversity and representations of family in schoolcurricula. At the university level, she provides workshops to preservice teachers and teachers on addressing family diversity in curricula and classrooms. Recent publications include: (Mis)Understanding Families: Learning to Listen to Real Families in Our Schools (2010); Other Kinds of Families: Diversity in School and Culture (2008); Representations of family: A poststructural analysis (2006); Expanding multicultural education to include family diversity (Multicultural Education, Winter, 2005). Dr. Turner-Vorbeck has served as Chair and Program Chair for the AERA Special Interest Group on Family, School, and Community Partnerships. 15. Interrogating Parent-school Practices in a Market-based System. The Professionalisation of Parenting and Intensified Parental Involvement: Is This What Schools Want? 16. Father Involvement in East Asia: Beyond the Breadwinner Role? 28. Examining the potential and risks in global service learning partnerships: How do we pursue ethical engagement?